If you go down in the supermarket this weekend, keep your eyes open for a new cruelty-free range of hair products. 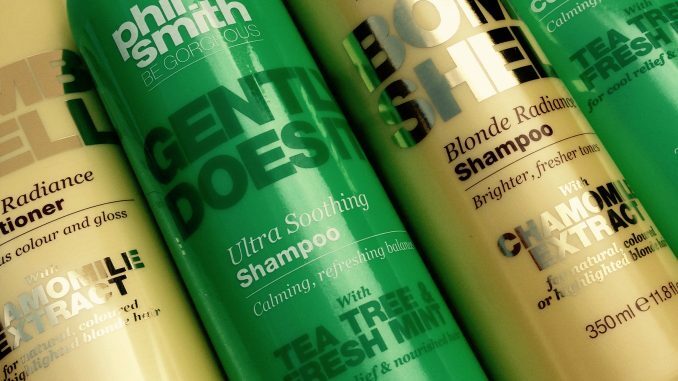 Multi-award winning celebrity hair stylist Phil Smith has released the BE GORGEOUS haircare range, exclusive to Sainsbury’s stores nationwide. He does Tess Daly’s hair, and you’ve got to admit that she’s pretty swishy. Phil is one of the few hair stylists to own and have full control of his brand, so he’s not just slapping his name on it and hoping for the best. What I think we’ve ended up with is a superior quality product at an affordable high street price. It’s quite a big range with something for everyone, whether you’re going sleek or tousled. Prices are around £2 to £4. Alas there’s nothing for anyone going for the crimped and backcombed Robert Smith of The Cure look, but even I’ve outgrown that one these days. The Teen and I tried out the Blonde Bombshell and Gently Does It shampoos and conditioners. The Teen is now packing a vast array of Grade A GCSEs (completely unsubtle not stealthy boast there) and is therefore well-equipped to size up shampoo. The Blonde Bombshell range is, as the name suggests, designed to refresh naturally fair, coloured or highlighted hair. It’s more challenging than you might think to get blonde hair shiny. The light doesn’t reflect off it in the way that it does for dark hair. These products contains chamomile extract to enhance shine, and we both found it very moisturising. I added a little Liz Earle hair oil for some extra shine, which worked well. The Gently Does It range is for sensitive scalps, making it a good all rounder for the whole family. It contains tea tree and fresh mint. There’s quite a nice balance of scent with this one. It’s not so minty that you feel like you’re washing your hair with toothpaste, but it is minty enough to leave you feeling and smelling refreshed. The Blonde Bombshell products also had a layer of light, floral scent that lingered after washing. It wasn’t overpowering at all. I’ve been using Garnier Ultimate Blends recently but I think I like this better. It’s a good range at a bargain price point and well worth chucking in your cart at the supermarket. 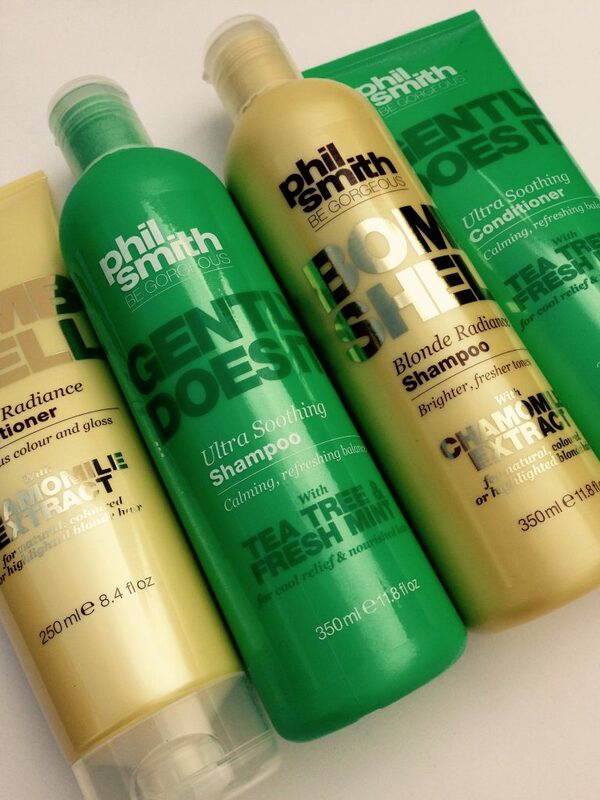 Be Gorgeous by Phil Smith is available exclusively at Sainsburys in the UK and via selected outlets worldwide. All products shown RRP £3.50.